Bring a mask and your dancing shoes! 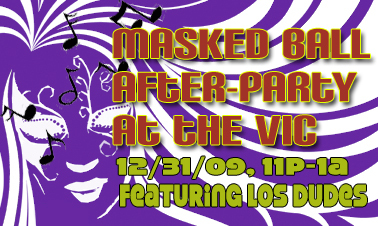 Ventura’s own Los Dudes will be providing the rhythm as you ring in the new year at this sure-to-be rocking event! Please note: 21 and older only. Please note: Refunds not issued. Vouchers, coupons or special promotional tickets will not be accepted for this special show.